Today’s 20-something tech wizards might not worry about the challenges of old age. But they should. Seniors represent a huge untapped market for tech companies. While just 13 percent of America’s population is 65 or older today, that slice will jump to 19 percent by 2030. One area that holds particular promise? Wearables. Such technology already supports healthier lifestyles. Over 20 percent of Americans use wearables. Ralph Lauren, Adidas, and other brands have developed smart wear to help people optimize their workouts. Wearables that foster healthy and independent living will soon fill seniors’ wardrobes. With advances in nanotechnology, “smart clothes” that monitor seniors’ health and remind them to take their medications are on the way. Analysts predict that medical applications will soon account for the largest share in the smart textile industry, reaching $843 million by 2021. Previously, smart textiles weren’t so wearable. Indeed, their metallic fibers were bulky and unattractive. But new futuristic threads –called “smart yarn” – allow designers to embroider circuits into fabric, making wearables lightweight, comfortable, and low-cost. 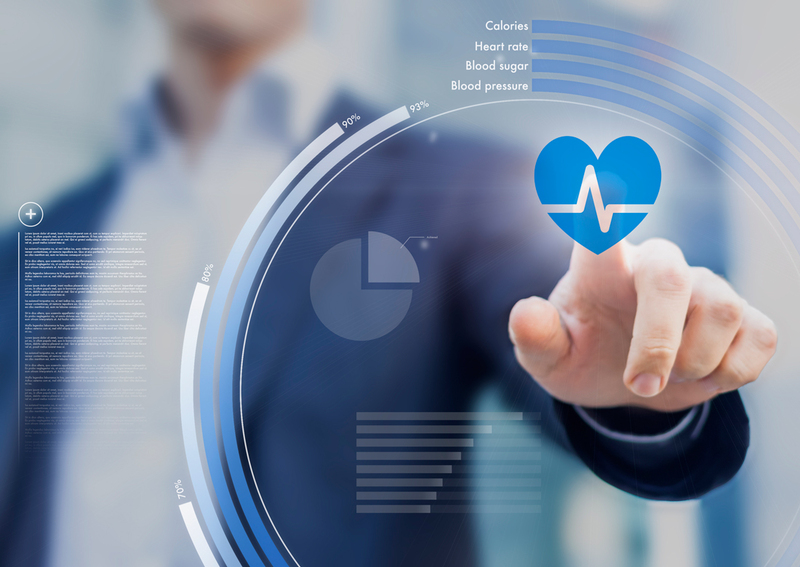 Wearables empower patients to take control of their health and manage chronic illnesses. Chronic disease represents 86 percent of U.S. health spending. Nine in 10 seniors have at least one chronic condition. Technology that helps seniors avoid complications from their conditions can yield tremendous savings by eliminating unnecessary hospital stays. Smart watches are already being used to alert patients to take medication. Soon, seniors with hypertension could use wrist-worn devices to track blood pressure. Seniors with diabetes may soon benefit from intelligent footwear. New Zealand startup Footfalls and Heartbeats and the University of Nottingham are developing sensor-equipped “smart socks” that warn diabetics when they are at risk for foot ulcers. T-shirts from Canada’s OMsignal, meanwhile, can keep track of wearers’ stress levels and send vital signs to doctors. The company believes its thread-based sensors will help prevent everything from heart failures to seizures. For the 6 million seniors suffering from vision loss, mobility is often a nightmare. Sensors can change that. Designers are developing new sensors that emit ultrasound waves to detect objects that can be clipped to clothing or woven into vests. As the user approaches an obstacle, the sensor vibrates, growing in intensity and frequency the closer the obstacle gets. Take Tactile Navigation Tools’ Eyeronman vest, which employs three different types of sensors to guide users. The vest’s sensors communicate with an electronic textile shirt, which vibrates in a particular spot to indicate impending obstacles and their locations. Perhaps most importantly, new technology can prevent life-changing injuries caused by falls. According to government estimates, one in three seniors will suffer a fall each year. One in five falls will result in a broken bone or head injury. Treating these falls costs $34 billion annually, and the problem will only become more prevalent as baby boomers age. Wearable tech can help reduce the risk of falling. Washington-based Sensoria recently teamed up with Orthotics Holdings Inc. to develop a brace that uses flexible textile sensors to alert wearers when they are about to lose their balance. Coming next: wearables outfitted with airbags to cushion users in the event of a tumble. Today’s tech executives are laser focused on millennials. But tomorrow’s tech gadgets will offer revolutionary ways to stave off disease to enhance independence. That’s why, with America’s population steadily and rapidly growing older, it’s time to start thinking about seniors. Rahmat Shoureshi is provost and vice president for academic affairs at New York Institute of Technology.